Limited time offer. Participation varies. See dealer for details. Standard Rental rate apply after 3 months. Installation extra. Minimum 1 year service plan required. In fact, with a Culligan drinking water system, your children are likely to drink more water and fewer sodas! 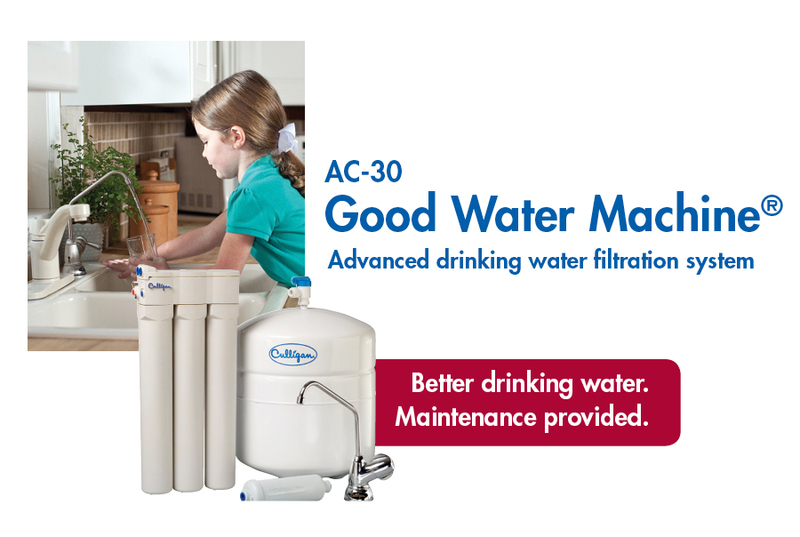 Culligan offers various plans to rent or purchase water softeners, reverse osmosis drinking water systems, water coolers for 5-gallon bottles of water, Bottle-Free water dispensers, and other filtration equipment. You can also choose from valuable time saving services such as salt delivery service, bottled water delivery service, water softener or drinking water system repair or maintenance, and other specialty services such as advanced water analysis. So, turn to a partner you can trust with your water challenges……your Culligan Man.